The temporary Crib used in the construction of the Southwest Land and Lake Tunnel System, situated on the line of the tunnel seventy-five hundred feet from the shore, caught fire from some unknown cause at eight o'clock in the morning of January 20, 1909. There was a large force of laborers on the structure at the time, it having been found impracticable to carry them back and forth each day on account of the large quantity of ice in the lake. The structure being of wood the fire once started spread rapidly, and the unfortunate men were caught as if in a trap, and most of them were burned to death or drowned in efforts to escape before help arrived. Some save themselves by seeking a precarious refuge on floating cakes of ice, although some met death by drowning in attempting to do so. Tugs came to the rescue as soon as they could force their way to the scene and saved some of those on the ice. The exact number of victims could not be ascertained, but it was believed that seventy men lost their lives in this appalling disaster. 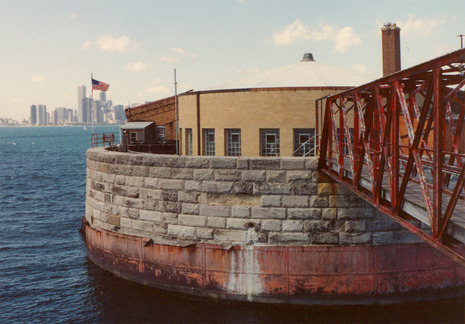 A few minutes after 8 o'clock, on the morning of Jan. 20, a fire broke out in the intermediate crib of the great tunnel at Seventy-third Street, which, extending four miles out into the lake, is designed to furnish water to the southern section of Chicago. The exact number and all the identities of the men who were killed in the fire were never known. Some were temporary day laborers and not recorded by the company. It was never known if all the bodies were recovered from the lake. Accounts at the time of the fire said that the company reported 46 men missing, but 53 bodies had been recovered. Thirty-nine survivors had been rescued. An official cause of the fire was never determined.